A native North Carolinian, Christopher L. Holoman grew up in Raleigh and pursued his undergraduate education at the University of North Carolina, earning his Bachelor of Arts in international relations with concentrations in political science and economics. He completed his Master of Arts and Ph.D. degrees in political science from the University of Chicago. His scholarly work is in international political economy focusing on theories of international cooperation, especially in monetary policy. After beginning his faculty career at the State University of New York at Buffalo, Holoman moved to Hilbert College, a Franciscan liberal arts college in Hamburg, NY, in order to concentrate on his first love of teaching and help Hilbert establish a political science program. At Hilbert, he developed unique courses such as Global Communities in the 21st Century, Weapons and War, and Politics and the Movies. In 2006, Holoman was appointed Interim Vice President for Academic Affairs, and in 2007 was named Provost of the college. Under his leadership, Hilbert introduced its first graduate programs and restructured its academic and student life areas to provide a more robust, comprehensive, and effective educational experience. He was active in many initiatives of the national Council of Independent Colleges (CIC); with the regional accreditor, the Middle States Commission on Higher Education; and the consortium of the 21 colleges and universities in Western New York, where he spearheaded a program to train mid-level academic administrators for advanced careers in senior leadership in higher education. 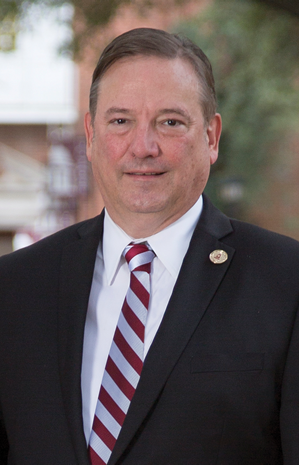 He continues his involvement with the CIC, most recently as a speaker at the organization’s annual meeting of college and university presidents. As a lifelong Methodist, Holoman was drawn to Centenary’s distinguished history of liberal arts education and its affiliation with the United Methodist Church, and is excited to lead Centenary College towards its third century. The faculty, staff, Board of Trustees, alumni, and students have come together to develop a new strategic plan that will guide the college as it grows, builds on its tradition of academic excellence, and lives into its role as Shreveport-Bossier’s college. Holoman and his wife, Connie, have two daughters, Allie Fritz and Fran Holoman. Allie and her husband Jamie are the parents of Milo and Casey, Chris and Connie’s grandchildren.